Musasino Co., Ltd. | Aiming to be the No. 1 provider of marine use liquid level gauging. Dramatically improving cargo handling management. Musasino's Smart Network platform optimizes cargo handling support, based on our signal processing technology. 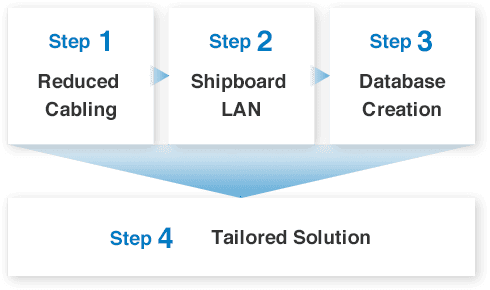 We use three steps - "cable-saving design", "unified shipboard LAN", and "database" - to provide a one-of-a-kind solution. Responding to the changing needs of the times, and listening to our customers' voices, we have built up the references to be No. 1 in Japan. *1 There are four foundations that are unique to Musasino. A combination of products that could only be developed in-house and trusted quality proven by our extensive track record. See why we are confident in our 60 years of innovations. 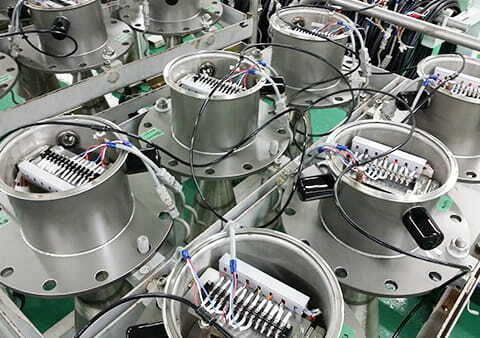 We will continue providing our global customers piece of mind.